Hello again. In the interest of saving you, the homeowner, a little more money, I thought I would dedicate this article to some plumbing maintenance tips. Obviously the best way to save money on emergency plumbing repairs is to do your best to eliminate them altogether. While that is not always possible, there are a few simple things that you can do to help. 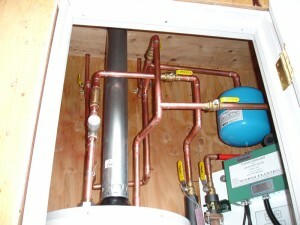 This is, by far, one of the biggest ways to not only save your water heater, but your entire plumbing system as well. Now this is obviously for storage tank style water heaters. If you have a tankless, this won’t apply. Here is what happens: cold water fills your water heater tank, it is heated at the bottom, and the hot water is sent out from the top of the tank to your fixtures. Even though most tanks are designed to “swirl” the water around at the bottom of the tank (self cleaning), it doesn’t really work as well as you might think. Two things wind up accumulating at the bottom of the tank – calcium and rust. The calcium and rust get sent throughout your house and clog up all your faucets. Not to mention the damage they do to the water heater itself. Another thing to think about is that rust begets rust. It’s not unlike a fungus. Performing a water heater maintenance is usually as simple as putting the thermostat on “pilot” or “vacation” mode, turning off the water to the unit, hooking up a garden hose to the little drain bib at the bottom of the unit, opening the drain bib, and finally opening up the hot side of a couple of fixtures to let air flow. The tank will begin draining through the garden hose, taking the rust and calcium with it. When you are done, simply reverse the order of everything you did. Wait until the unit is completely full and you have clear water coming from your fixtures before you turn the thermostat to its previous position, and you are done. Doing this, once a year, can be the difference between your water heater lasting 10 years, or 50 years. I went through a quick how-to on aerators in my Plumbing 101a | Flow vs Pressure post. The why of it is simple – obstructions are bad, proper flow is good. The aerator is sort of a filter. Filters need to be cleaned so that they continue to do their job effectively. It’s really as simple as that, and since cleaning one takes about 5 minutes, why would you not? Another bit of useful plumbing maintenance is keeping the blades in your disposer sharp. The job of a garbage disposer is to take large chunks of food and grind them into smaller bits of food, so that those smaller bits can be sent down the drain line without clogging it up. In order to do the job properly, the blades should be kept sharp. How do you do that? It’s simple really – every once in a while, grab a handful if ice cubes and grind them up in the disposer. This will do a great job of keeping the blades sharp. Drain line maintenance can be the hardest, because there is not a whole lot you can do except try to minimize the amount of hair and grease that go down the drains. 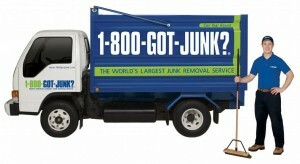 I do, however have a little trick that I use (as do many of my past customers) to keep those drains flowing. For this you will need a big pot that you can use to boil a lot of water and some lemons. Squeeze the juice out of the lemons into the pot (by hand or with a juicer), fill the pot with water and boil the mixture. Once it gets to the boiling point, remove it from the stove and pour it down the sink. The hot water desolidifies the grease and the citric acid from the lemons helps to gets rid of it. If you want it to be even more effective, run a bunch of hot tap water down the line first for a couple of minutes. Once every six months should help. Seeing as it’s time for me to cook dinner, I will wrap up thins article for now. Please let me know if there is anything you were looking to find here that you didn’t, and I will either add to this post, or create plumbing maintenance 101a. I have found that the aerators can really slow the water pressure down to a faucet if they are not cleaned! Just make sure that if you have to use pliers to remove it that you protect the finish by using some sort of buffer, such as a cloth. The claw marks from the pliers will not look very nice on your nice faucet. However, I did not know that lemon juice had those properties to help break down grease and buildup. Lucky for me, we will get a lemon once a month and run it through the disposal just to make it smell better!